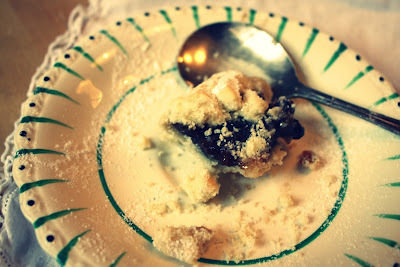 viennese mince pies no less! i'd like to know how your seasons are a-changing? just till i get into the swing of our cold snap...! no...honestly i'd like to have a little warm virtual catch up together! bet you couldn't offer viennese mince pies though! our gorgeous little sleep rebellious tiger, miss.audrey is still not loving this sleeping through the *whole* night caper..
so what can i say...twelve years after our first was born...we still don't pretend to have all, if any, of the answers...! 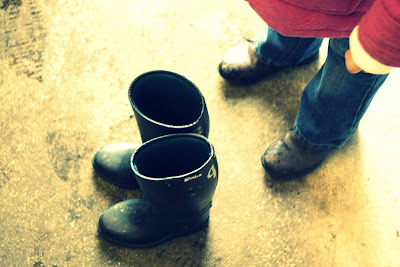 so with fires blazing...& central heating powering we are having a pretty mild winter so far! shall we just have a little *top-up* from the pot & another nibble...? shall we have just one more little top-up before we get on with our day...? i just love that our surf mad, beach crazed, salty haired kids are learning to ride! & we think our kiddos are pretty darn cool! did i listen enough today? i like to think of myself as a pretty good listener! that make up each day"
Enjoyed morning coffee with you, my dear! You are so good to have me over for a bit! And if I could only taste that pie for real! Mince pie. To me that's always been the epitome of an English Christmas. That and Yorkshire pudding. Although, I don't think I've eaten either. 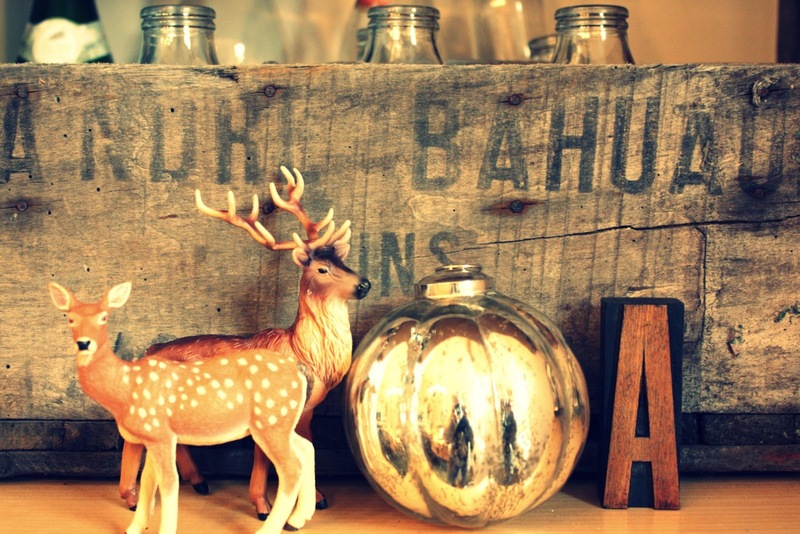 Your living room looks so warm and cozy! BSD would be in heaven w/all the heat and fire to keep it like the beach. I keep the house cold to save $$ and he HATES it. And the stockings? So very sweet! My mother made my little family of four a set when we had kids, and they are priceless! oh, melissa! i want to come stay with you. your house looks os warm and cozy and everything looks so cute, i am drooling over it al right now. i am on my way out the door and will pop back in later. XO thanks for the super-quick cup! You are in a great mood! Which is fabulous because reading your words has put me in a better mood!!! 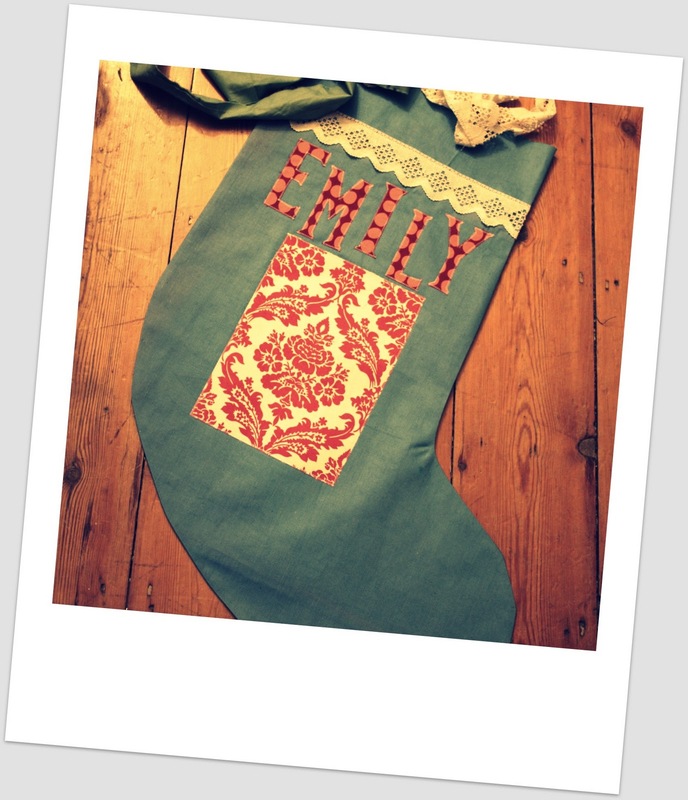 I once had a grand idea that I would cross stitch each of my children a stocking. I have yet to finish the one I started the year my eldest (now 8) was born. We make ornaments every year with the girls' hand prints on them. What a lovely coffee date!!!! 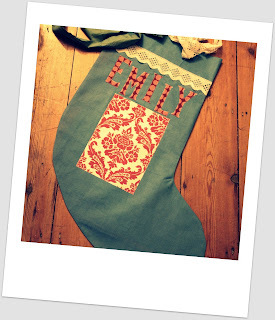 Love your homemade Christmas stockings. So very pretty. Oooo yes, mince pie please! I love your stockings. I still have my childhood stocking as well, but it doesn't get hung up anymore. I guess the grandkids come first. Bah! Love how you arranged the letters of the name Oliver on the stocking! Oh, and I'll slide my mince meat over to you as not a fan while trying to convinve you that sleep is highly over-rated and some year you will catch up on it! The pies, lets start with those delicious pies! 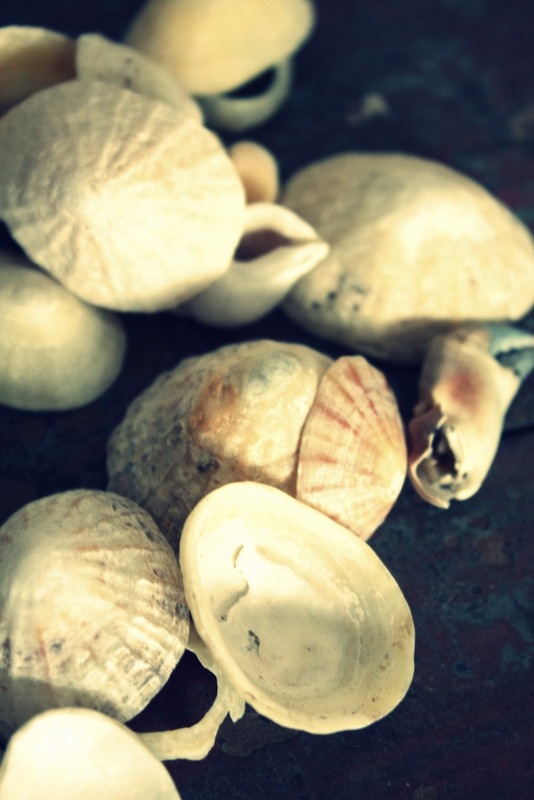 I would LOVE to take a bite out of one of those right about now. The fireplace sounds absolutely divine. We have a gas fireplace... it's just not the same. One of the things I enjoy most about the holidays is sitting in front of my parents wood stove, listening to the crackling wood and smelling that warm scent that feels like home. Your stockings are beautiful!! There is nothing better than receiving a gift handmade with so much care and love. I've never heard of viennese mince pie. I make mincemeat pie every Christmas with regular pie pastry. My grandma used to make it when I was growing up. She was Canadian. Love the stockings and the peek at your fireplace. So cozy looking. 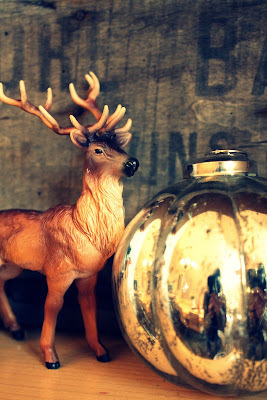 Reindeer looks great up there on the mantel. lovely pics. i especially love those christmas stockings. just found your blog, and became your newest follower. 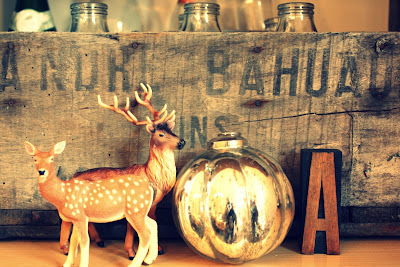 I am so glad you stumbled onto me...so that I could meet you and your blog. The photos are beyond gorgeous. My next plan is to go through all your posts. Thank you for your kind comments, and for becoming a follower...don't have many yet. I have become your newest follower and you are going on my blogroll. 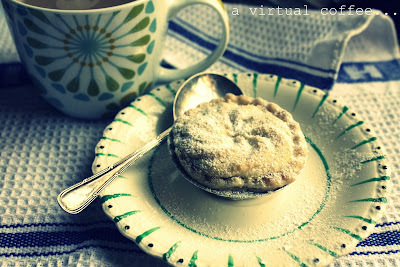 Mmmmm...mince pies, dreamy writing and lovely photos, I like visiting this blog alot. You must be so proud of your Aussie boy - captaining the local lads! And riding lessons - what a gift to your children. Oh, and don't go thinking about the beach, Melissa... mince pies (and all the other Christmas delights) are for winter. Enjoy all of those lovely Christmassy details making sense in a wintery place! 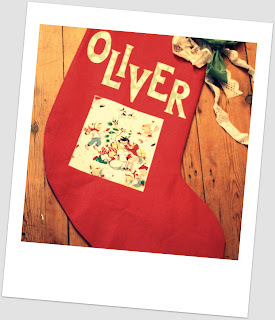 I love those stockings, especially 'oliver'! Hello there melissa, what a gorgeous post once more, i would looove a viennese mince pie!! yum!! And i totally agree with what you said about the stockings being a lifelong item that no one will ever grow out of! you look so cozy and warm in your living room! so christmassy!!! 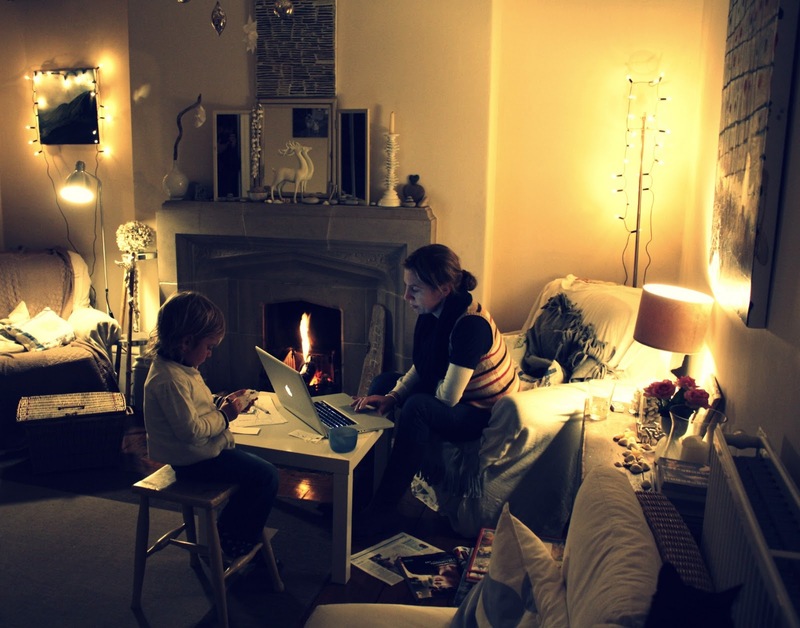 Hi Melissa, I am feeling all cosy and Christmassy after reading your post. You and Ella are the winners of the Travelling Cupcake Challenge. So hopefully Cuppie will be there soon to help with the decorations and Christmas preparation. melissa- i told you i would come back for another sip! : ) so if we were really meeting for coffee...i would tell you that i think it is wonderful the different experiences you are giving your children living in two completely different places. i love it! i completely agree with you about the stockings, too. my mom makes us kids, our spouses and all of the grandkids a stocking with each person's name cross stitched on it. and yes,w e will always have them, they are very special! i went christmas shopping yesterday with my mon, sister and charlotte and actually bought a couple of presents. we sipped peppermint mochas and even enjoyed the christmas music! She maybe has insomnia? Have you tried maybe getting her to do more things to calm her down. Deep breathing or light therapy? A lot of times kids are high on adrenaline and that is why they can't sit still in bed. If adrenaline as low enough they would be tired and pass right out.